Happy Independence And Happy New month!! ~ CK Jacob: Nigerian Fiction And Lifestyle Blog. Happy Independence And Happy New month!! I wish all of you a great and wonderful month. Happiness all the way this month. Celebrate your day with love. We will never experience sorrow and sadness in Jesus name. Amen. Did I read you write "My birthday is on the 8th"? you had better start planning the cake of that day o... Cake all the way. A big Amen to that sis, Plus we pray a new Nigeria of our dreams will emerge. Amen dear. 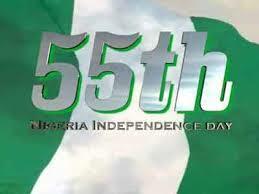 May this country turn around for good cos there is nothing to happy about the independence. Happy October 1st, best wishes! Happy anniversary....and happy new month dear. Wow! Carina dear happy birthday in Advance!!! and of course happy independence Day!!!!! Happy birthday in advance dearie... nd happy independence day to all Ckreaders.